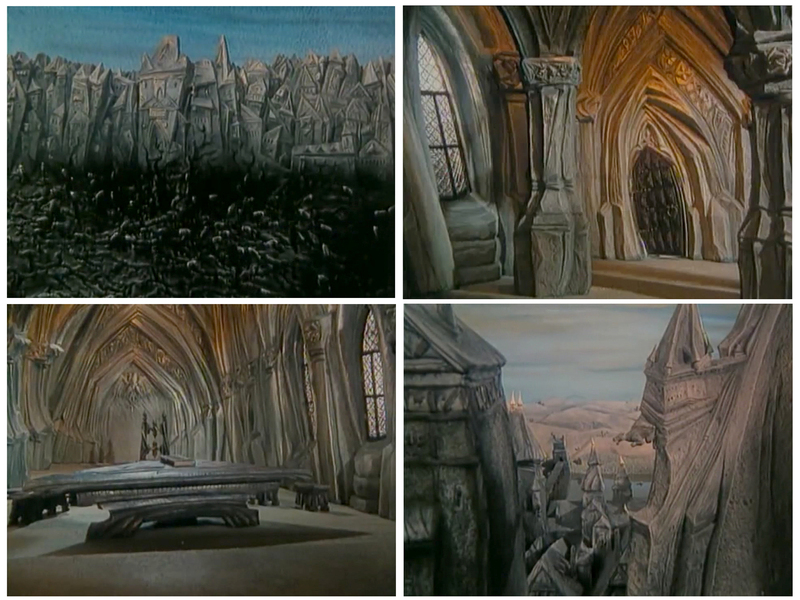 based on a medieval german fairy tale THE PIED PIPER OF HAMELIN czechoslovak film director JIRI BARTA produced in 1986 the 53 min long puppet-animated movie THE PIED PIPER ( ‘Krysař’ in czech, what means THE RAT CATCHER ). 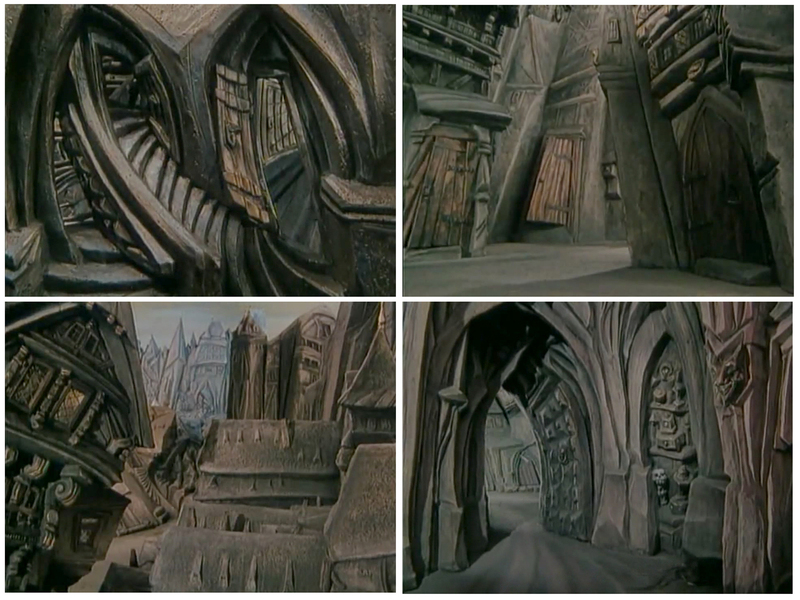 the whole jiří trnka studio KRATKY FILM was involved in what was one of the most ambitious projects in the history of Czech animation. 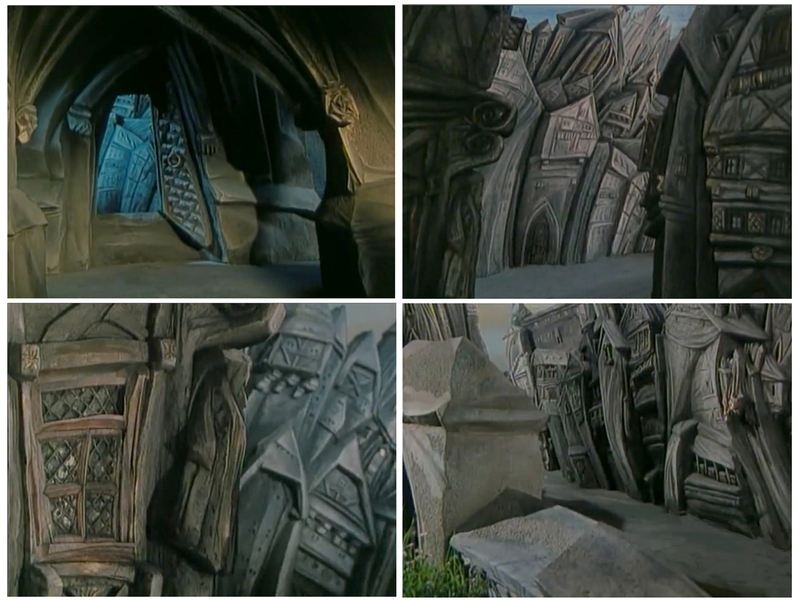 research and preproduction time took six months, the filming with puppets up to 60 cm tall one year. 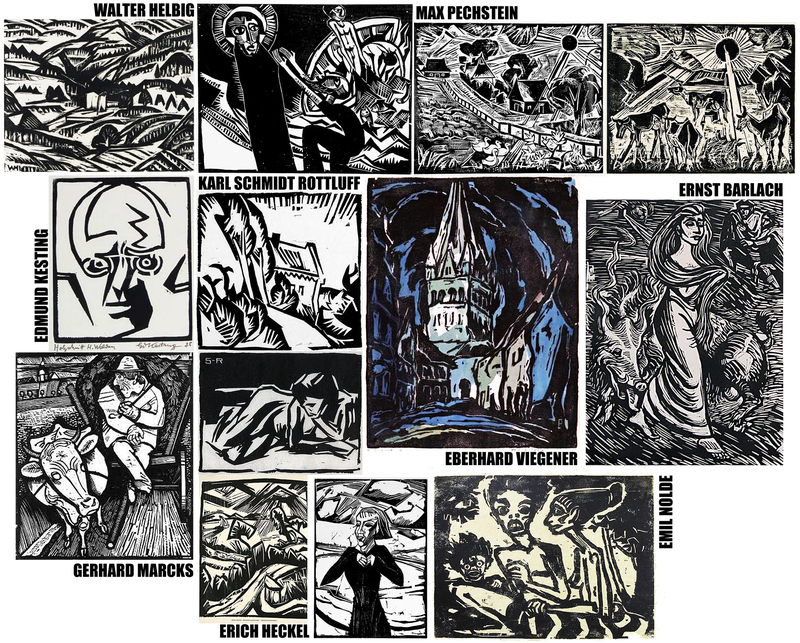 barta’s ‘horror’-film creates a striking contrast to the disney version of the pied piper legend as a children’s comedy, his fascinating metaphor for a society focused on material demands comes to life in a very artistic style, heavily influenced by german expressionistic painters like EMIL NOLDE, MAX BECKMANN, ERICH HECKEL, CARL HOFER, ERNST LUDWIG KIRCHNER, MAX PECHSTEIN, KARL SCHMIDT-ROTTLUFF and KAETHE KOLLWITZ – but as well by medieval wooden sculpture artists like JOERG SYRLIN, HANS MULTSCHER and TILMAN RIEMENSCHNEIDER. 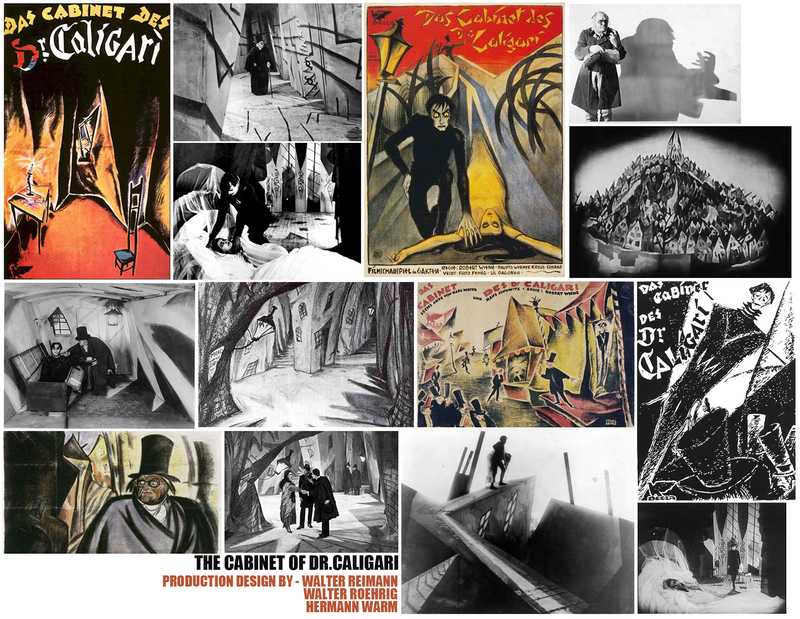 interesting is the similarity in the tilted angles and twisted shapes in the environment of the 1920 silent horror film THE CABINET OF DR.CALIGARI directed by ROBERT WIENE. 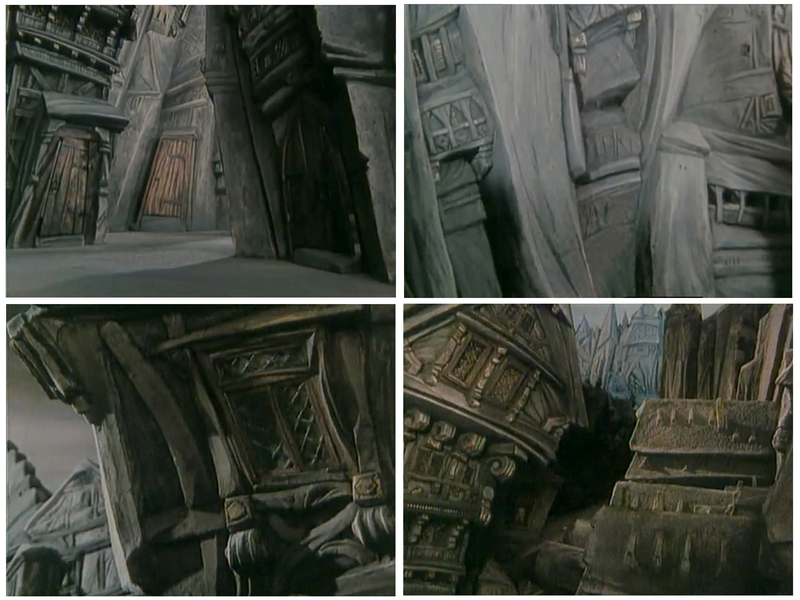 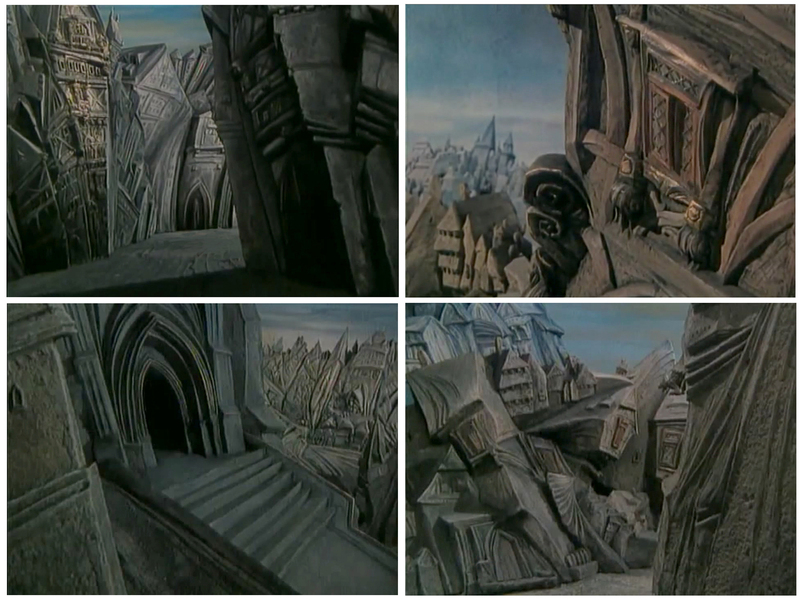 below some of the stylized sets of the puppet-animated film and the reference art that was probably used.